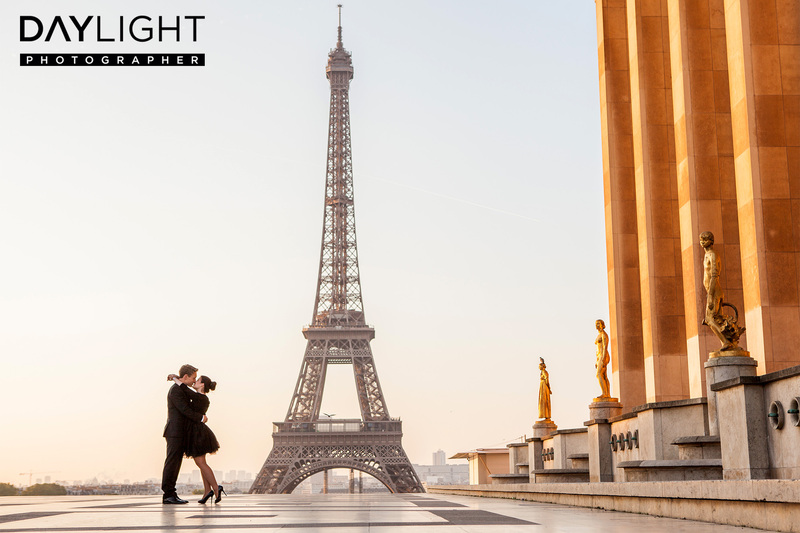 Paris is known as the city of love, but it’s also one of the most beautiful cities in the world and the perfect backdrop for a photoshoot of you and your partner, whatever the season. 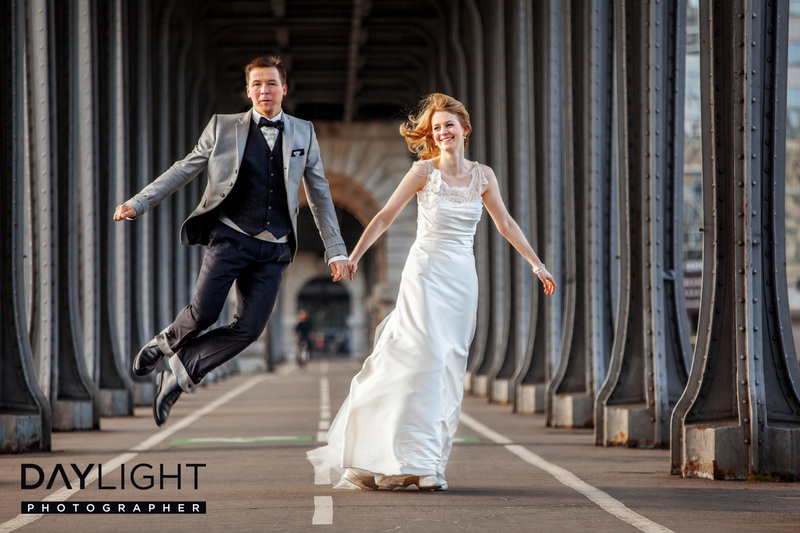 Daylightphotographer offers professional and creative photoshoots in Paris for couples, be it engagement photos, wedding pictures, capturing your honeymoon or as a present for your beloved. 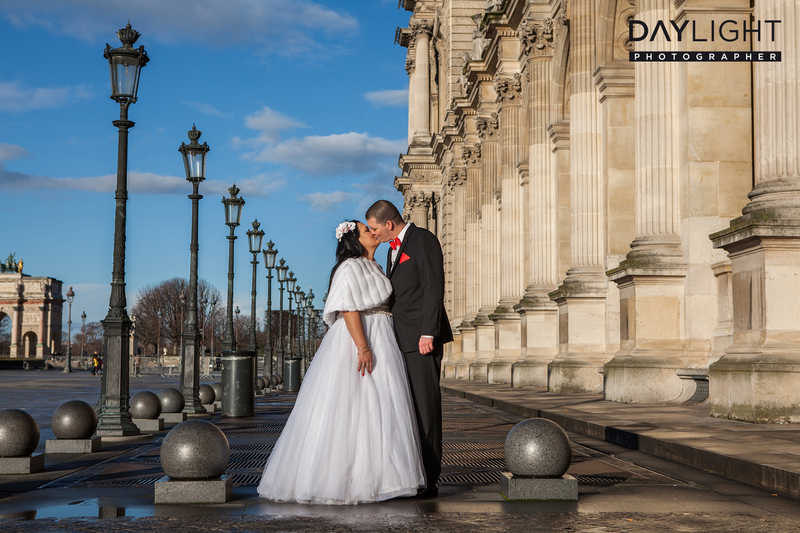 Professional models are also welcome to book their photoshoot in Paris with us. 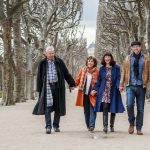 Book your photoshoot in Paris here. You’ve already purchased your tickets to Paris? 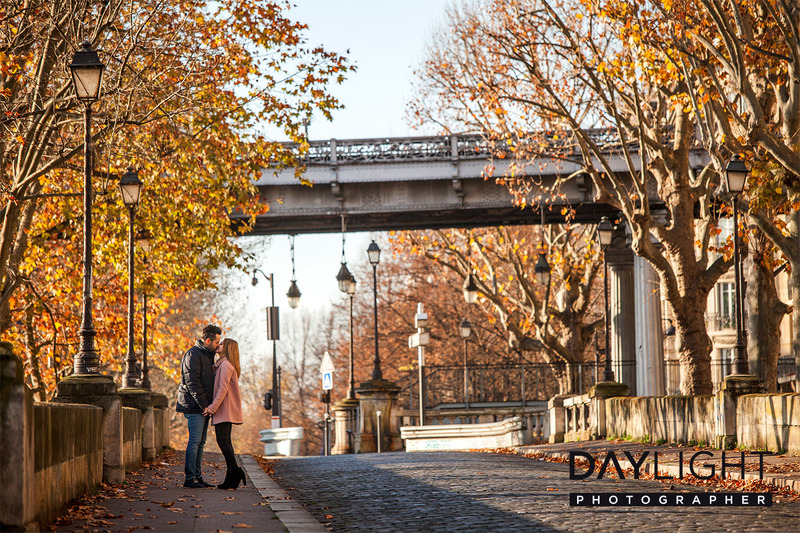 Book your photoshoot in Paris now! 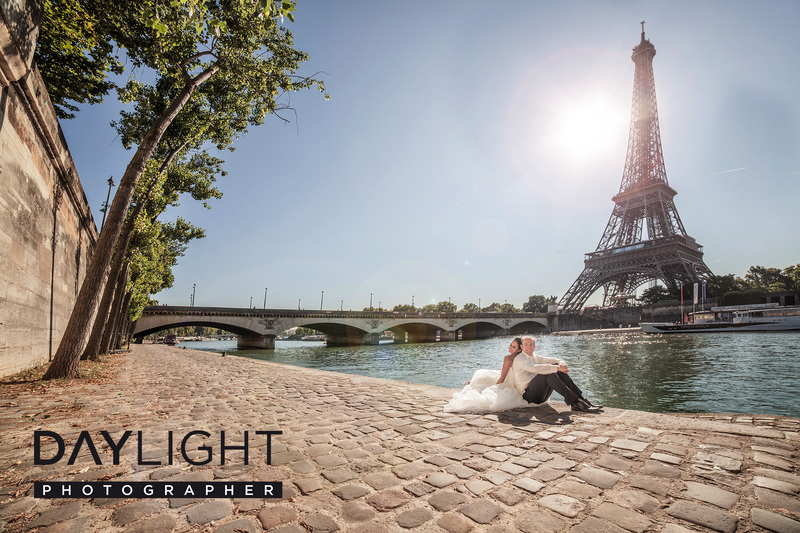 Your team from Daylightphotographer knows all the best locations in Paris. We know how to choose our angles: your pictures will be free from tourists and travel groups with an unobstructed view on the Eiffel Tower, the Basilique du Sacré Cœur, Notre Dame and all other Parisian landmarks. 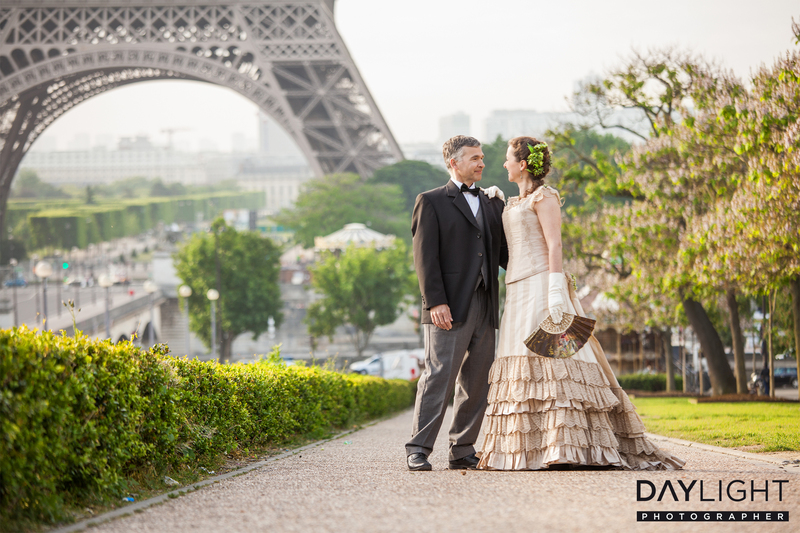 In Paris, you can book a photoshoot with Daylight photographers of a duration between one and four hours. The time of day depends on the season and the location: the longer the days the earlier your photoshoot can begin. This means that in the summer you can take advantage of the beautiful morning light as well as of the empty streets and an unobstructed view on the sights. 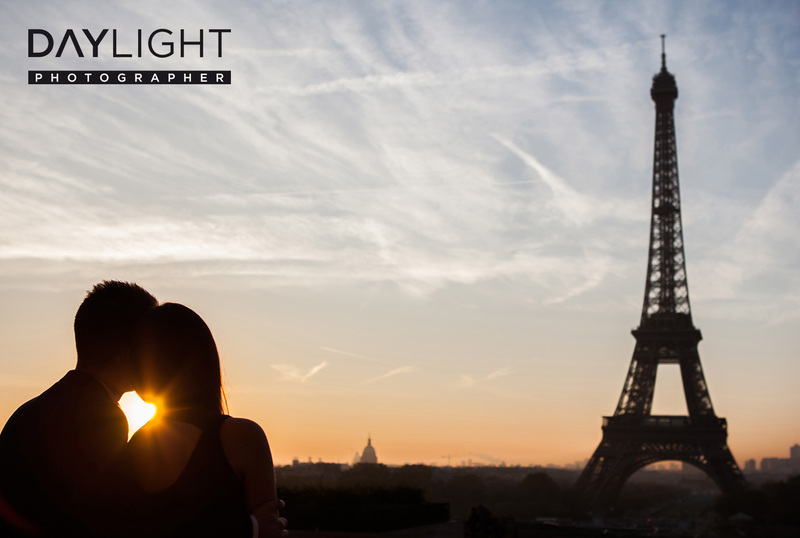 In the summer, your photoshoot will start about 30 to 60 minutes after sunrise on Place du Trocadéro. During 90 minutes you will be photographed from 7 to 10 different angles, which can yield from 60 to 90 pictures. 90 minutes are usually enough to get pictures from all the best angles of the Eiffel Tower. 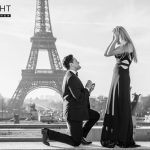 Because our photographers know the surroundings of the Eiffel Tower like the back of their hand they also know exactly where to photograph you to get the best and the most beautiful results. 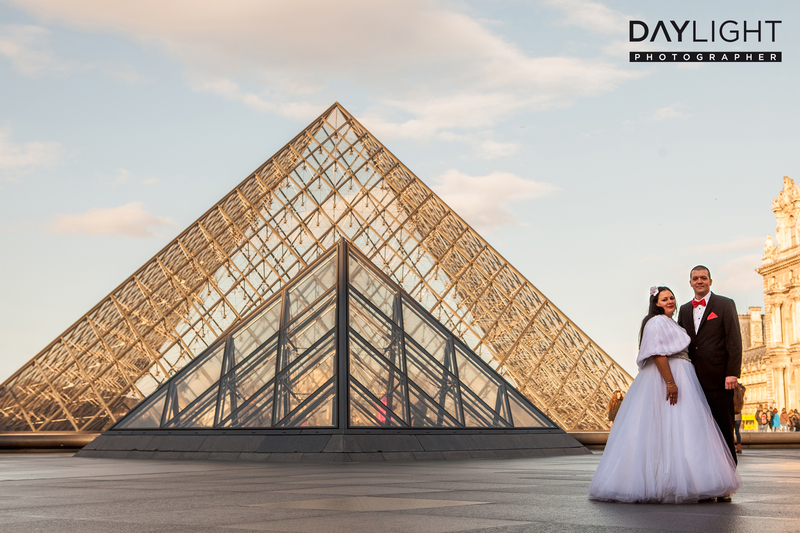 If you have a little extra time, venture forth and move the location to other stunning sights in Paris. If you book one of our photographers for more than 2.5 hours, the photoshoot can be taken to up to three different locations. 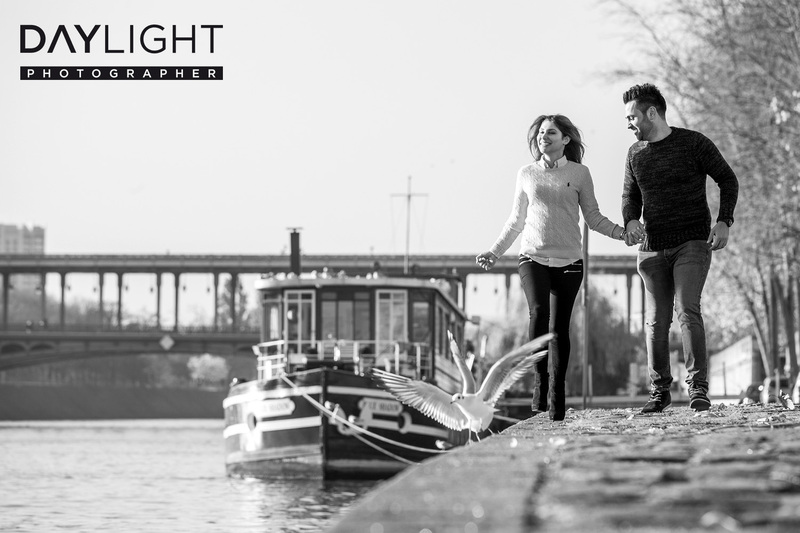 Daylightphotographer offers different routes for this kind of photoshoot. 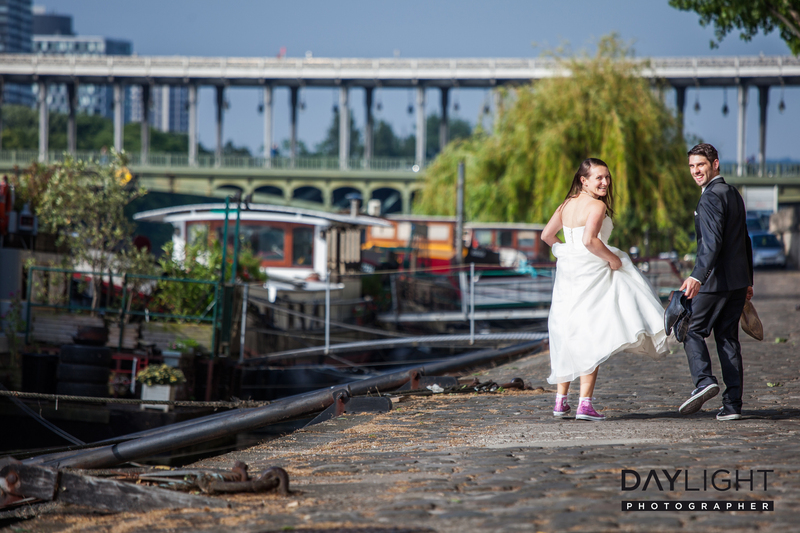 If you want to book a photoshoot somewhere else in Paris, you can get in contact with Fotografen in Paris. Please choose your desired date by clicking on it. *PLEASE NOTE: It is necessary to make a deposit via PayPal or by bank transfer for your reservation to be registered in our system. 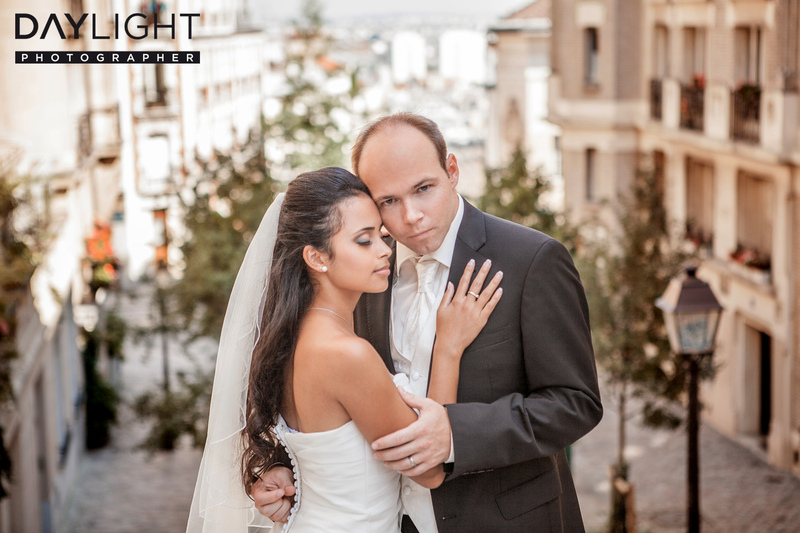 You can revoke your booking up to 72 hours before the photoshoot without specifying reasons. Your deposit will of course be refunded!